Fannie Mae offers the HomeStyle Energy Mortgage, an excellent financing option if you are purchasing or refinancing a home. 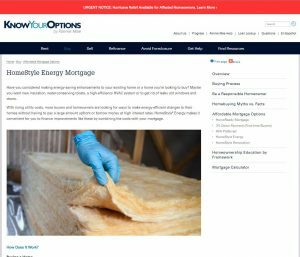 To visit the Fannie Mae HomeStyle Energy Mortgage information page please click on the image. 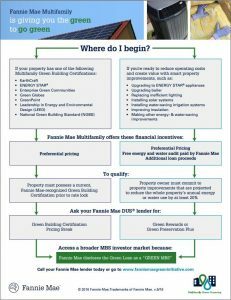 Fannie Mae also offers the HomeStyle Renovation Mortgage, a financing vehicle to upgrade the energy efficiency of a home you own or intend to purchase using the money saved from the energy improvements. 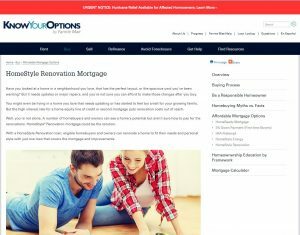 Fannie Mae offers other mortgage and loan products, such as the HomeReady Mortgage and HFA Preferred Mortgage. 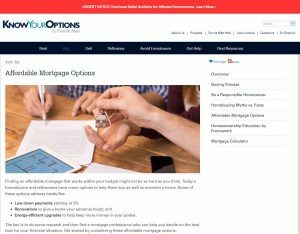 Click on the image of the Mortgage Options homepage to learn more about these and other financial products.